Find news and photos about real animals. Learn about your pets, wild animals and more. Having a pet dog may lessen your kids’ chances of getting the common cold. The house dust from homes with dogs worked to protect against a common cold. Exposure to animals at an early life helps to “train” the immune system. Elderly people, especially those in residential facilities, often become unsociable when separated from immediate family. Researchers have found that dogs were able to promote their capacity to build relationships. Studies from the American Journal of Public Heath and the American Journal of Preventive Medicine have shown that on average adults spend twice as much time walking than someone without a dog. Regular dog walking improves fitness levels. Also children with dogs tend to be more vigorously active. Years of research have shown that having a dog around can lessen anxiety. Your dog will help lower the hormone linked to stress called cortisol. Also petting a dog can help lower blood pressure, which can lower the chance of cardiovascular disease. Oddly enough dogs can actually prevent owners from getting allergies. Owners are less likely to develop animal related allergies or sicknesses like asthma or the hay fever. Having a dog with help build up your immune system. Dogs can help you improve your mental state. Owning a dog can teach us many personality traits like commitment and selflessness and Also dogs can help us to be less selfish and more patient. Having a dog teaches you to be less focused on yourself, therefore teaches you to be unselfish. Believe it or not dogs can help with home security. Potential burglars and unwanted strangers get put off with loud barking dogs. Your dog can be a replacement for your home security system, preventing burglary and even saving money. If your dealing with emotional grief, your furry, four legged friend can help you with that. Children often turn to their pets for comfort. 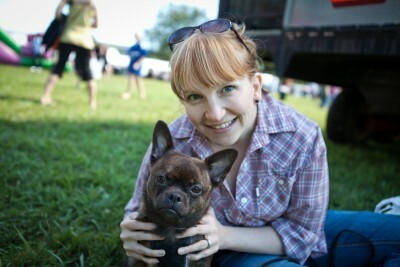 Not only can children be comforted buy their dogs, but adults can too. Research has shown that dogs have helped grieving adults with depression. Your dog can also help you rehabilitate from your illness. Having a dog visit you in the hospital can help encourage mobility, socialization and contact with other patients. Dogs are very empathetic creatures. They always seem to know when your sad, and are always there to comfort you when your down. Also dogs cater to your emotions and they’re always there to offer unconditional love.